Long gone are the days when CSR was a bolt-on initiative or a one-person, siloed corporate function. Corporate social responsibility is officially mainstream. Long gone are the days when CSR was a bolt-on initiative or a one-person, siloed corporate function. CSR was decidedly “in” in 2012, and it's about time. According to the Environmental Protection Agency, every American throws away an average of 68 pounds of clothing and textiles every year – that's more than 9 million tons annually. An industry often scrutinized for excess, fashion is beginning to address its sizable social and environmental responsibilities. High-end brands like Gucci and Stella McCartney let eco-conscious fashionistas strut their stuff in sustainable shoes and accessories, while mass-market retailers like Topshop and H&M are creating items from recycled materials and fewer resources. This year we saw cause reveal its lighter side with a slew of tongue-in-cheek campaigns. Consider the “Zombie Blood Drive,” a partnership between the American Red Cross and the popular AMC show The Walking Dead,” Gillette's support of Movember, and Rethink Breast Cancer's “Your Man Reminder App” that makes self-breast examinations near-impossible to forget. A refreshing change from more serious cause messaging, these humorous activations are no joke when it comes to successfully raising awareness of critical issues. Corporations are no longer responsible solely to their boards, and 2012 showed that diverse external stakeholders, from established activist groups to young students, play critical roles not only in a company's reputation, but in its operations. Jamba Juice took heed of a 10-year-old girl's petition and is now phasing out Styrofoam cups. Similarly, a Mississippi teenager's petition persuaded PepsiCo to evaluate the use of brominated vegetable oil in Gatorade. Whether successfully pressuring Starbucks to pay more taxes in the UK or spurring Sodexo to go cage-free – stakeholders are wielding tremendous power…with remarkable results. Experiences speak louder than words, and several programs let stakeholders experience issues through multimedia storytelling, such as Target's “Acceptance” videos that showcase powerful, heartwarming moments of college applicants' acceptance reactions, and Alzheimer Disease International's Facebook app that enabled users to experience how it feels to lose their memories for a day. The effect is emotional and engaging – it humanizes the corporation, brings an issue to life, and makes a hard-to-deny appeal for support. 2012 may be best known as the year transparency moved from a “should do” to a “must do.” Bold statements of green and goodness came under fire as government sought to protect consumers from deceptive claims. Both the Federal Trade Commission's updated Green Guides and the New York attorney general's best practices for cause marketing offer parameters for marketing products and services with environmental and social claims. Consumers are becoming more skeptical of such assertions and companies must now carefully consider how they communicate their CSR initiatives. Long-recognized as powerful brand ambassadors, employees are now playing new roles as strategic co-creators and even intrapreneurs. Forward-thinking brands such as ConAgra and Google are engaging employees to innovate business models and enact social change, helping this critical stakeholder group feel vested in CSR efforts. New Year's prediction: Companies that create opportunities for collaboration will harness the passion and competitiveness of their employees for robust CSR engagement and return. As cause marketing and environmental claims flood the marketplace, delivering consumer return is the new, strong differentiator. Think TOMS, pioneer of the one-for-one model, which in 2012 elevated its return proposition by opening up Giving Trips to consumers. New Year's prediction: Companies that make issues personal and real for consumers by offering tangible impacts will stand apart from competitors, reaping reputational and bottom-line benefits. We saw our fair share of Facebook “likes,” Twitter hashtags and voting promotions this year, but these social media tactics are now the norm, and won't be enough to catch the attention of the socially-conscious consumer of tomorrow. The overwhelming success of American Express's Small Business Saturday illustrates the power of social media to push forward CSR initiatives. New Year's prediction: Companies that build CSR programs with social media and channels as a core strategy will educate, inspire, and build relationships in a whole new dimension. 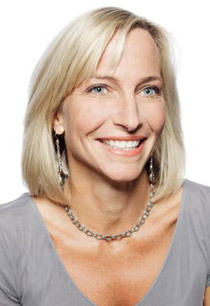 Alison DaSilva is EVP at Cone Communications.